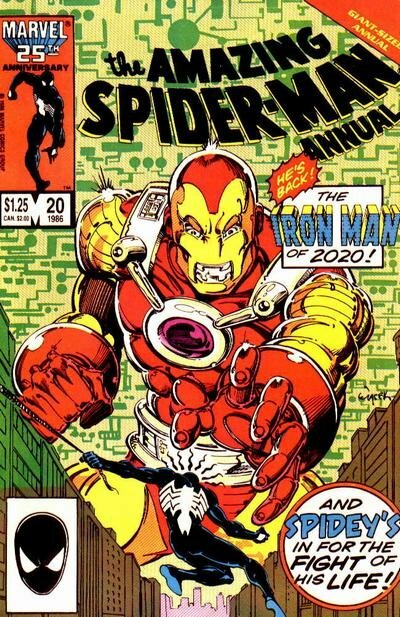 Click Here To See Amazing Spider-Man Annual #20 Comic Book! Check out this very nice 1986 Amazing Spider-Man page, which was penciled by the great Mark Beachum, and inked by the great Bob Wiacek, from the story titled: "Man of the Year!" 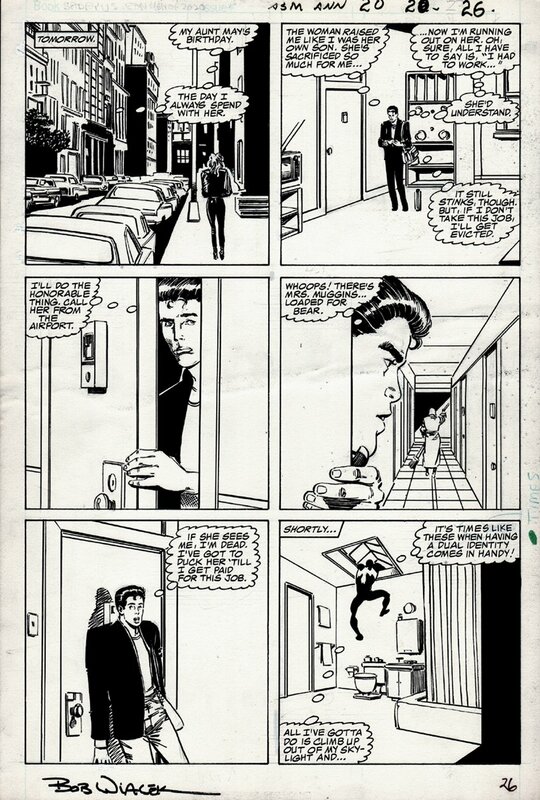 This nice sought after storyline page features Peter Parker in 4 great panels as he has to escape Mrs Muggins so he changes into his (PRE VENOM) black costume to leave through the skylight! A great opportunity here to own a nice 1986 page from this sought after ASM book! There is crease going through center of page horizontally through panel 4 mostly. ALL art on our website (including this one) are able to be purchased with VERY fair time payments, and trades are always considered towards "ANY" art on our website! Just send us an email to mikeburkey@aol.com and we can try to work something out.